The first time I got my hands on PlayStation All-Stars Battle Royale was at E3 in 2012. I played a match as Nathan Drake and proceeded to use the smart-mouthed treasure hunter to break the entire game. It felt incredible. Drake’s Level 3 Super, which turns opponents into zombies and lets you blast them without mercy, got stuck an in infinite loop. The competition was decimated; my score climbed up above 20 before a frustrated booth rep shut the thing down. I had vanquished not only the three other game journalists who I was playing against, but the game itself. Then again, these experiences aren’t all that uncommon. You see, at expos like E3 and PAX, most of the games we play are in early builds, and that means they aren’t as polished as the version that get pressed to retail discs. So once in a while, those of us in attendance will stumble upon game-breaking bugs. It’s not a bad thing; hopefully someone will be around to take notes and get those fixed before the game hits store shelves. It’s all part of the development process. But after my time with PS All-Stars, I chatted for a bit with a couple fellow Cheat Code Central writers who had also gotten some hands-on time with the game. Josh Engen and I agreed that All-Star’s scoring system had some issues. Unlike Super Smash Bros., PS All-Stars only lets you score while doing a super move, which you need to build your AP meter in order to even use. (There is one exception: The Medusa head power-up allows you to turn opponents to stone to get an easy kill.) It was a game mechanic that we found somewhat confusing, and potentially problematic. Still, I couldn’t help but feel disappointed. The AP system ended up being the thing that eventually dissuaded me from a day-one purchase. But recently, I was invited to Wednesday Gaming Night at a friend’s house, a weekly gathering of eight to twelve people who sit around and play video games and eat junk food until everyone’s pretty much ready to pass out. Whoever wins a match keeps playing, while everyone else passes their controller to the next guy. (Pants are purely optional at these events, though there’s only one guy who takes full advantage of this rule.) The game of choice that night was PlayStation All-Stars Battle Royale. As I familiarized myself with some of the characters and soaked in the competitive atmosphere, I found myself warming up to the game. You see, one of my initial problems with the AP system is that it could easily throw off timed matches. What happens when the score is tied, but there isn’t enough time left on the clock to build enough AP to earn a super? It trivializes the remaining seconds of the game. But this problem disappears entirely when you set the game to Stock Mode, which gives each player a set amount of lives; the last player standing is the winner. In my opinion, this is the mode to play. And as I learned the characters, I started seeing the usefulness of the Level 1 Supers. New players might be tempted to save up their AP for the mega-powerful Level-3 Supers, but more skilled players learn the unique power and area-of-effect of their character’s Level 1. And that adds a layer of strategy to the game (though admittedly not an incredibly deep one). 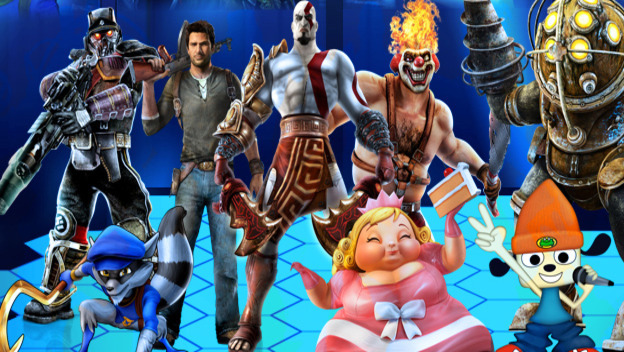 That night, it finally clicked: PlayStation All-Stars Battle Royale is actually incredibly fun. 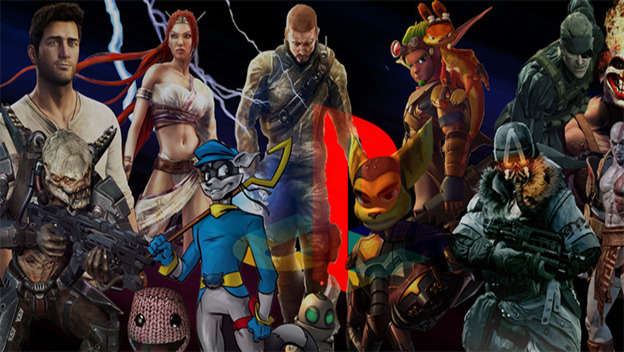 The game systems I was unsatisfied with are actually a lot better implemented that they seemed at E3. The controls stand head-and-shoulders over those of Super Smash Bros. (Though I’ve played hundreds of hours of Smash, I have never reached a point where the controls actually felt one hundred percent intuitive. All-Stars, on the other hand, feels like second nature.) The pace is slower than Smash, which some people might see as a downside, but I think PS All-Stars is a well-paced game that simply doesn’t devolve into button-mashing chaos as quickly as Smash does. Oh, and being able to practice on the go with my Vita has given me a brand new excuse to spend hours upon hours of time with Sony’s cute little handheld. I guess what I’m trying to say is this: I’m truly sorry that PS All-Stars and I didn’t necessarily see eye to eye in the beginning. Oh, and I feel a little bit bad about breaking the thing at E3 too. But just a little bit.